(Natural News) If you watched the results come in live during the 2016 presidential election, you may recall the many crying and agonizing faces of the Left as it became clear that their leader, Hillary Clinton, wasn’t going to seize the White House as she had planned. 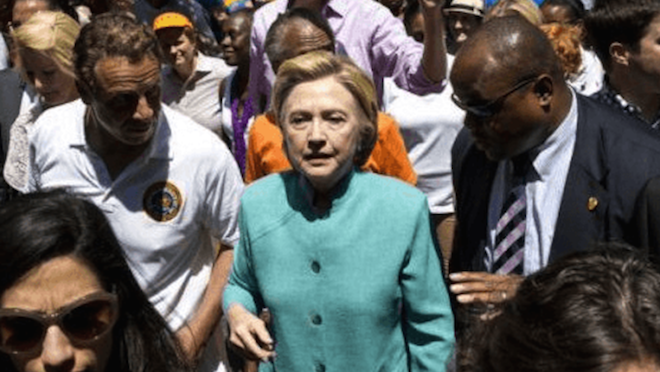 And it’s certainly a good thing that she didn’t, seeing as how the ugly truth about this vile woman remains largely unknown to many Democrats who still see her as a strong, independent, and principled person – the exact opposite of who she truly is. Former White House Secret Service Agent Gary Byrne tells all in a new book, Crisis of Character, revealing the true Hillary Clinton: an angry, violent, and dangerous person who puts on fake smiles and laughter for the public, but who’s actually a devilish fiend behind closed doors. Byrne recalls both hearing and seeing all sorts of illicit behavior taking place behind closed doors while the Clintons were on the campaign trail, which prompted him at one point to joke with a sheriff that, “there’s no way this guy could ever get elected” – referring, of course, to then presidential candidate Bill Clinton. Byrne describes Hillary as being a violent, “volcanic” person who, during an incident involving a broken vase, actually gave her husband, Bill, a black eye. Secret Service and others in the know obviously tried to cover up the truth, but Byrne knows what he saw and heard, which ultimately led him to the conclusion that Hillary Clinton is a domestic abuser who’s a threat to her husband and many others. Hillary Clinton is also a raging sexist who hates men, according to Byrne, who witnessed more than his fair share of her abusing those around her – especially men in uniform, many of whom were putting their lives on the line to protect her. Not a surprise is the fact that almost none of the major news outlets are willing to talk to Byrne, nor do they want to touch his new book. CNN, the “Clinton News Network,” is, of course, among those trying to censor the truth about Hillary Clinton by shunning Byrne and the information he’s trying to get out to the public.